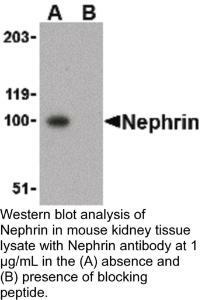 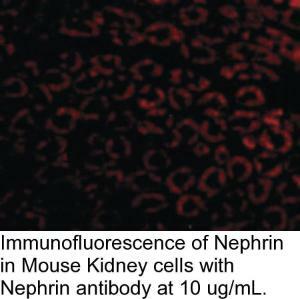 Nephrin Antibody: Nephrin is strongly expressed in renal glomeruli and is a member of the immunoglobulin family of cell adhesion molecules. 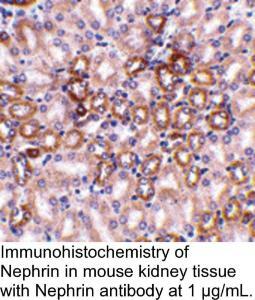 Mutations in the Nephrin gene result in congenital nephrotic syndrome, an autosomal-recessive disorder characterized by massive proteinuria in utero and nephrosis at birth. 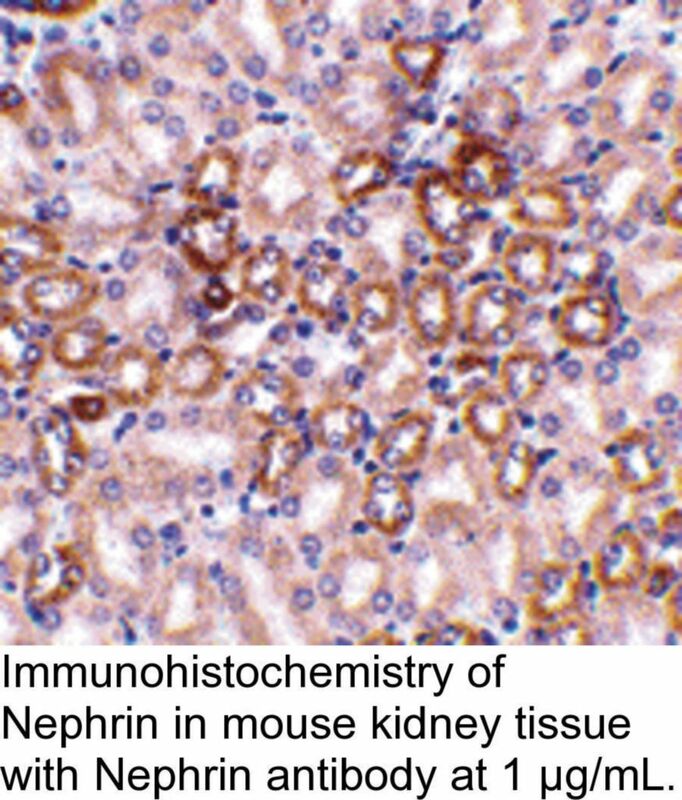 Renal glomeruli allow normal kidneys to filter plasma so that it is very pure. 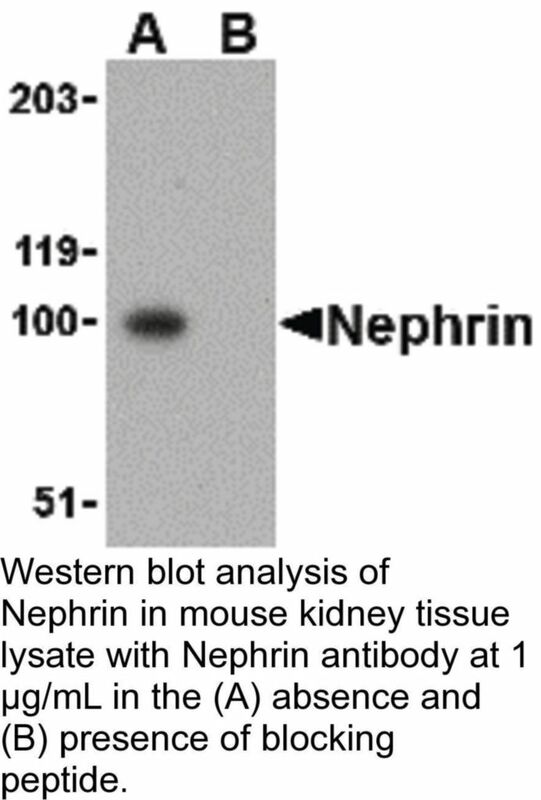 Nephrin is expressed in the podocyte slit-diaphragm of the renal glomeruli in a manner that suggests that Nephrin molecules homodimerize in an anti-parallel fashion similar to cadherin interactions in adherens junctions. 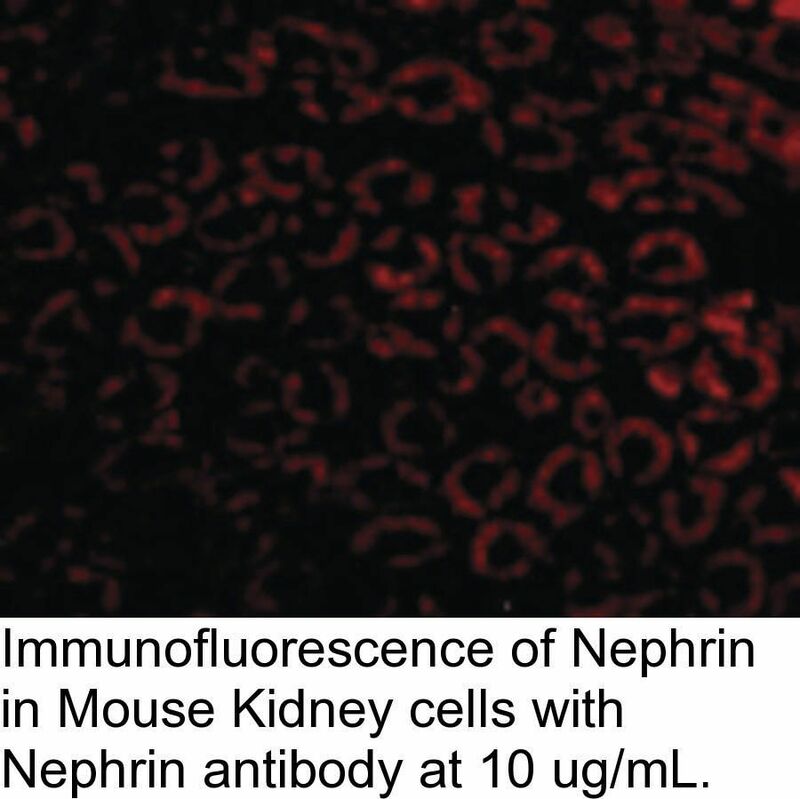 Thus, Nephrin may constitute the entire extracellular structure of the slit-diaphragm.